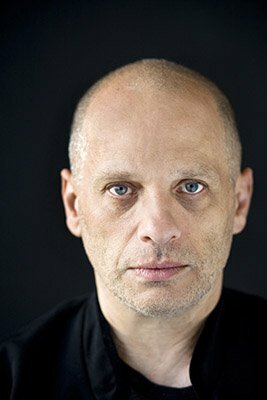 “This is the first performance of the piece, and, with any luck, it’s also the only performance.” David Lang’s true pearl, an opera in five tapestries, premiered in Calderwood Hall Thursday; subsequently a recording will be available to accompany visitors in the Tapestry Room. true pearl means to lure you into the Gardner with the combined powers of visual art and music. Lang explained, “true pearl is the act of looking at tapestries. There is a cast of one, and that cast is you.” As cast, you walk into the Tapestry Room with an earpiece that plays the opera. To understand true pearl, you look at the tapestries, and in order to understand the tapestries, you listen to true pearl. “Music has another function in a space… music is in a spectrum of things,” Lang reasoned. This is not the first time that music has been written to enhance the understanding of other art forms, but it is certainly a welcoming idea that should heed a large audience (or large cast) at the Gardner Museum’s Tapestry Room. 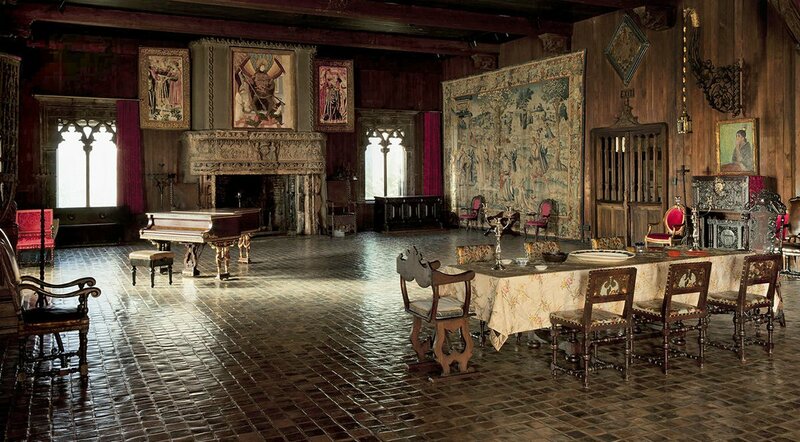 In 2006, Lang had attended a concert in the Tapestry Room, which, for 40 years since the 1970’s had been outfitted with a raised stage for the museums Sunday Concert Series. With the opening of the Renzo Piano wing in 2011, the concerts moved to the new Calderwood Hall, and the Tapestry Room could receive a restoration back to its original appearance in 1914. Upon receiving his commission, Lang asked librettist Sibyl Kempson to draw inspiration from the tapestries to set text to the opera. Kempson’s travels to Central Asia, the place where these tapestries originated, led to her reactionary, stream-of-conscious commentary that follows the visual aspects of the tapestries and of her travels, directions to where she may be going, and short allusions to the story of Cyprus. Each movement takes a name from a tapestry – King Astyages Commands Harpagos to Take the Infant Cyrus and Slay Him, A Messenger from Harpagos Brings Cyrus a Letter, King Astyages Places Harpagos in Command of His Army, Queen Tomyris Rejects Cyrus’s Proposal of Marriage, and Queen Tomyris Learns That Her Son, Spargapsies, Has Been Taken Captive by Cyrus. True Pearl, or Syr Darya, is a mystical river in Central Asia that appears in all five tapestries. Stephen Drury directed the combined Roomful of Teeth and The Callithumpian Consort to bring forth an insightful, deeply personal performance. The music for each tapestry provided a glimpse into Kempson’s understanding of the world around her, and Lang responded to her words with sensitive, sparse, vast, contrapuntal, sometimes heart-wrenching music. The first movement began a cappella with a spoken bass and lilting soprano, filled with repeated pitches and phrases that slowly unfurled into a full but somber event. “Precisely where the tapestries resided prior to 1628 is uncertain” popped from each vocalist throughout the militant, dance-like third scene that gave “precisely” imitative treatment with a controlled counter-melody in the oboe. The fourth tapestry gave off the feeling of immense space, expanding into a threnody with tribal calls. The fifth movement began with ominous cymbals, completing the story of the tapestry, then lilted as the words dissolved into directions to the grave at Syr Darya. Each scene left space for the audience (or cast) to deliberate over every tapestry, providing a post-minimalist, subtly building backdrop perfect for experiencing art. Although this show most certainly benifited from a live hearing, I wish I had been able to gaze more deeply upon the tapestries for a more complete experience. Lang’s opera alone, even on headphones, is worth the trip back. Lang’s true pearl remains available for gallery visits at the Gardner through January of 2019. Also on the double bill, the little match girl passion, a Pulitzer Prize-winning, Grammy-awarded opera, offered Lang’s 15-scene response to Hans Christian Andersen’s “The Little Match Girl.” Lang’s libretto follows a young girl who, afraid to go home and be beaten by her father as a result of not selling any matches, freezes to death in the winter cold. Every time the girl strikes a match to keep warm, her grandmother appears as a hallucination, keeping her warm by the fire, presenting a sumptuous holiday feast and a magnificent Christmas tree. Lang drew inspiration for his libretto from Andersen, H.P. Paulli, Picander, and St. Matthew. The opera’s structure takes after J.S. Bach’s St. Matthew Passion. Scored for voices and percussion, each vocalist plays a percussion instrument to provide accompaniment without conductor. Roomful of Teeth’s emotional, rich, technically flawless performance created the space for Lang’s deep sense of mysticism within the opera. The 11th movement (“From the sixth hour”) scores an ascending scale of cries of “Eli,” which the men of Roomful of Teeth led, rumbling low at first and rising to an emotional, tense, outward cry that twisted a knife to the heart. The 13th scene (“When it is time for me to go”) carried a sense of exhaustion, each vocalist running out of breath before beginning the next word, stuttering shivers ornamenting each word, depicting a little girl freezing to death. This performance will not be easily forgotten. Rachael Fuller is pursuing a PhD in Musicology at Boston University.